Wild day-lilies bloom beside a corn field along a road near Millboro in rural Randolph County, North Carolina. 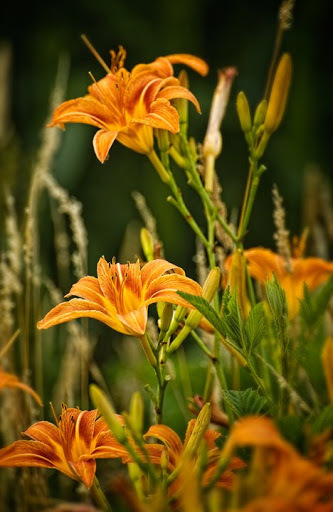 I say wild, because even though the original stock probably started from garden plants at old homeplaces, day-lilies have spread along the roads and fields in our area, and during this time of year create a splash of color everywhere. Next Next post: "Make Hay While the Sun Shines"